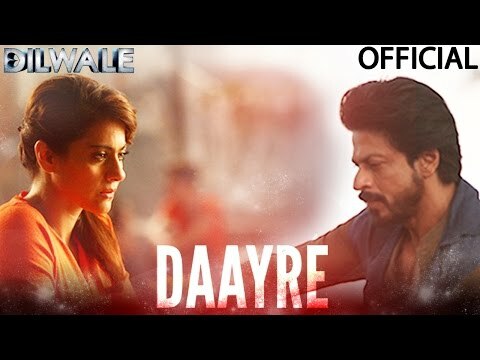 Review Summary: Dilwale re-kindles the SRK-Kajol chemistry, but fails to register as a must watch! On the whole, DILWALE is akin to a mouthwatering meal that satiates the craving of those who relish masalathons, besides being an absolute treat for SRK-Kajol fans. An unadulterated crowd-pleaser, DILWALE delivers what you expect from a Rohit Shetty film: King-sized entertainment. Go for it! Watch it for Kajol and, to a lesser extent, for SRK. The rest of the actors on this vehicle, barring Varun Sharma on an occasion or two, are mere passengers. Shah Rukh Khan, Kajol's chemistry continues to enchant! Dilwale" is strictly for Shah Rukh Khan's fans. They are bound to overlook everything else." If you’re a Shah Rukh fan, we won’t even bother with a reason. But even if you aren’t, watch it for the magic the hit jodi (pardon the corny cliché) creates. The story is a little filmy, agreed. But the movie pretty much makes up for it in every other vertical. Watch it to remind yourselves that DDLJ,K3G and K2H2 are not just random assemblages of letters. They are a huge part of the history of Bollywood romances. This movie has everything a commercial entertainer must have, and then some more. Having said that, the film manages to give a lot of clichés a miss, which is quite a pleasant surprise. We recommend: do not miss this one! "Dilwale" is strictly for Shah Rukh Khan's fans. They are bound to overlook everything else. Film lovers have no expectations of Shetty, but surely fans expect more from this director of blockbusters? Watch Dilwale if you want to relive the SRK-Kajol chemistry or for laugh out moments- for you can be sure that Gauri (producer) and SRK will be laughing all the way to the bank. Rohit Shetty has designed some stunt sequences, which he never did it previously. Those sequences take the movie to the next level. His directional skills are absolutely excellent. Gone are the days when local goons bullied Indians in central Europe. We now have our own mafia bosses in that part of the world. it plays to the gallery and is the kind of entertainer where the story is an afterthought. But Dilwale never lives up to the hype it had created around itself. Rohit Shetty films have never been high on story or performances. It is the way he packs solid entertainment in all his films and gives the family audience their full money’s worth. SRK's money dialogue, "Aaj ke baad apna chehra mat dikhana, jaan le longa," seems like a threat for audiences willing to attempt a second watch. Dilwale is flawed, but it's right for those who believe that love does conquer it all, actually. The age-old but hot chemistry between SRK and Kajol remains effective to this day and that is why you must watch Dilwale! If entertainment is why you go to the theatres, then Dilwale will not disappoint you. In essence Diwale is basically about a group of people doing what they have been doing for years. You might enjoy it if you find hilarity in the familiar. Shah Rukh and Kajol's old wine in old bottle is intoxicating! Dilwale is good popcorn time-pass! On the whole, Dilwale is a masala entertainer from the start till the end. The only purpose of “Dilwale” is to chant every known Bollywood mantra for a successful film and cash in on its celebrated lead actors. In that aim, the film is hugely successful. Varun overdoes it. SRK is hemmed in, Kajol tries too hard. Pankaj Tripathi, now what is an actor like that doing there? Only one having a good time is Sanjay Mishra. On a whole, 'Dilwale' is just another masala entertainer, which only expects you to enjoy and not think much. Giving it a shot wouldn't harm anyone. The film is a MUST watch for Shah Rukh Khan and Kajol’s chemistry and Varun Dhawan’s comic act! Shah Rukh Khan – Kajol rekindle their epic chemistry and Varun Dhawan excels with his comic timing!